The Problem With ‘The Flash’: Why Doesn’t Flash Run To Italy For Pasta Every Meal? 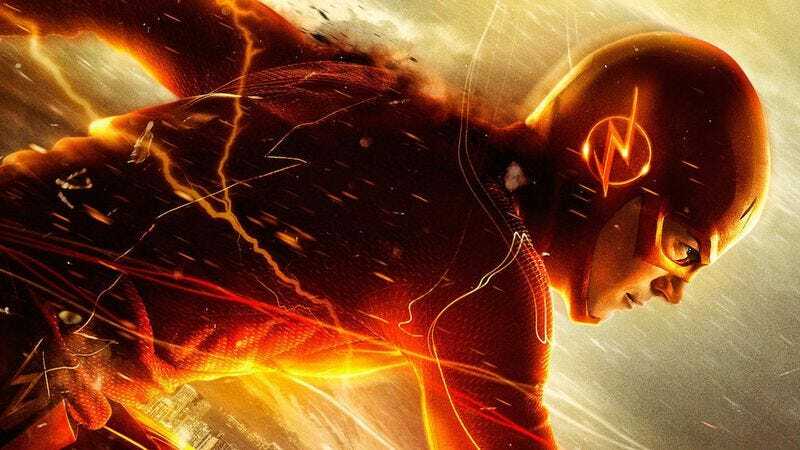 There’s no question The CW has a hit on its hands with The Flash. From the time-traveling adventures to Flash’s refreshingly complex and capable love interest, Iris West, the show built itself a firm foundation in its first season. That said, The Flash’s new season could still fall apart if the show fails to tackle the question that’s been there from the beginning: Why doesn’t Flash run to Italy for delicious pasta every meal? It’s glaringly distracting, no matter how exciting the on-screen action gets. With his speed powers, Barry Allen should easily be able to zip across the Atlantic, wolf down a plate of authentic spaghetti alla carbonara, and be back in Central City in a matter of seconds, ready to save the day. For most folks, that would be a dream come true, but bafflingly, there’s just no indication he’s ever skipped over to the peninsula for pasta, or even considered doing so. The show’s creators have led up to the new season teasing Flash’s exploits through the multiverse, but, frankly, it seems ill-advised to blow out the world of the show when the writers have consistently failed to address why Barry isn’t eating breakfast, lunch, and dinner in cozy Neapolitan trattorias. This isn’t to discount the show’s numerous strengths. It’s just that a pasta sequence would take all of 10 seconds of screen time, and the episode could then continue basically uninterrupted. And once it’s been shown in full, the writers need only include a quick shot of Barry wiping a stray spot of puttanesca off his chin. I could easily see a round-the-globe chase leading him through the Piazza Navona, where a steaming platter of gnocchi catches his eye. Sure, some people might argue that Flash can’t abandon Central City for too long, so he couldn’t wait around on an order of tortellini. But all he really needs to do is snag a plate off a passing waiter’s tray and leave behind a handful of bills to keep a clean conscience. And between time zones and languid European meal schedules, Flash would rarely be showing up at a time when no one was sitting down for a scrumptious pasta meal prepared by the world’s greatest chefs. If it’s a matter of keeping up appearances, Flash could even grab himself a fresh box of handmade ravioli and cook it at home with some salt and oil, with no one the wiser. I can’t be the only one who’s thought of this. With new speedsters having cropped up toward the end of the first season, my hopes that someone inspires Flash to hoof it to Florence are somewhat rekindled. I could easily see a round-the-globe chase leading him through the Piazza Navona, where a steaming platter of gnocchi catches his eye. While I want to say I trust the show’s writers on this, I’m really just not sure I do. In any case, I’m watching season two with cautious optimism. I do like the show a lot, but I’m really ready for this pasta plot hole to finally be resolved.